I have finally gotten around to putting up another video. Boat shopping in the Med. Check it out! So these days we are enjoying trying our hand at making a couple of videos, taking quick photos as we travel and putting updates out on our socials. Whether we stick too it or not I guess time will tell! And another video coming soon! The Sydney International Boat Show just wrapped up here in Sydney. We went along interested in what is new both in boats and boating products! 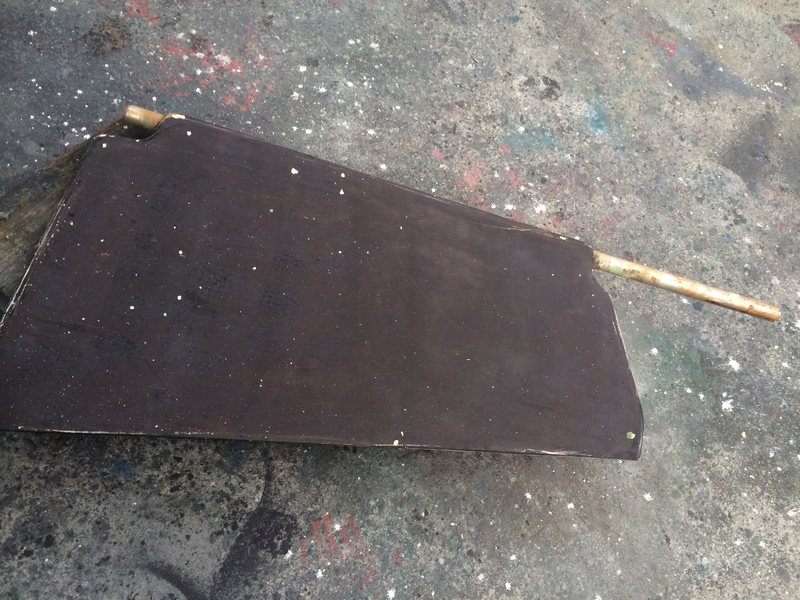 The boat highlight was the Amel 55. Such A beautiful cruising yacht well and truly out of our budget! Check out some of my thoughts in the video above. Subscribe on youtube to keep up to date. So we are going to give the video logging thing a go! We are looking to buy our next boat. A Bluewater family cruiser. FIRST EPISODE IS NOW ON YOUTUBE! Please subscribe and like! About three years ago almost to the day I sold my last boat Iolanthe. Since then life has been a blur of work, parenting, and collapsing on the couch with a glass of cheap wine and scouring yachtworld every night. We are buying a boat in the Mediterranean and sailing it back to Australia. PLEASE head on over to www.ourslowtravelling.com and check it out! Also we are going to try the YouTube thing so please subscribe to our videos HERE. The past couple of land based life have been full of up and downs and we are so pumped for this new adventure! Really looking forward to sharing it with you all. While we are yearning to start sailing some long miles to places far away lately we have been rediscovering the joy of gunkholing around some of Sydney’s marvellous cruising grounds. 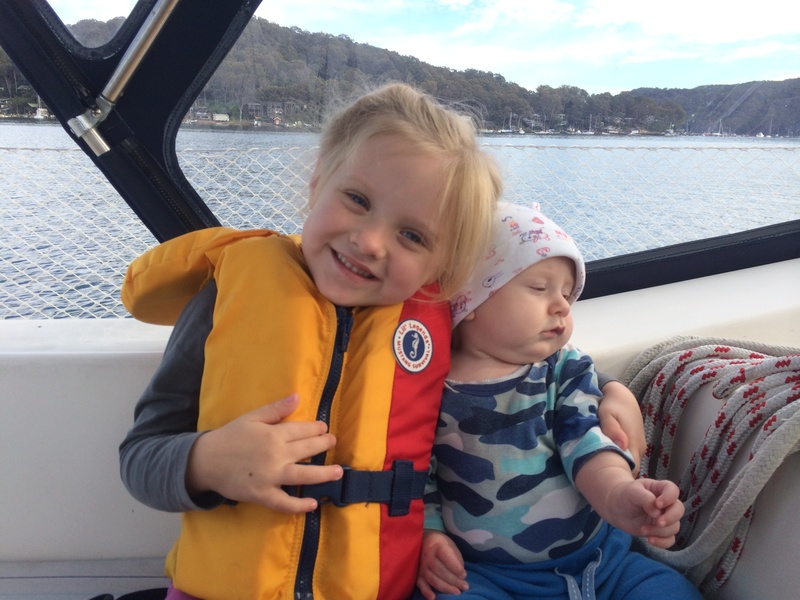 As the temperature and winds drop, the waterways get real quiet this time of year, so last week we took the opportunity to spend some time cruising around Pittwater and Broken Bay. One special winter anchorage we have reacquainted ourselves with is the delightful Portuguese Bay. In Pittwater just south of Coaster’s retreat( The Basin) it is well protected from westerly winds and is a great spot with the added benefit that you will probably have the beach and bay to yourself as we did for two days. We anchored in about 7-8 metres of water and then Sophie and I swam in to the beach (yes even this time of year we can’t keep Sophie out of the water! )for a bit of beach soccer and sandcastles before back onboard for a warm shower, sundowners in the cockpit and then dinner and Nim’s Island for movie night. The benefit of sailing a few miles everyday and dropping anchor as you please in the afternoon is that it makes for some fantastic family cruising at this stage of our lives. Sammy is at his happiest and most settled on the boat. 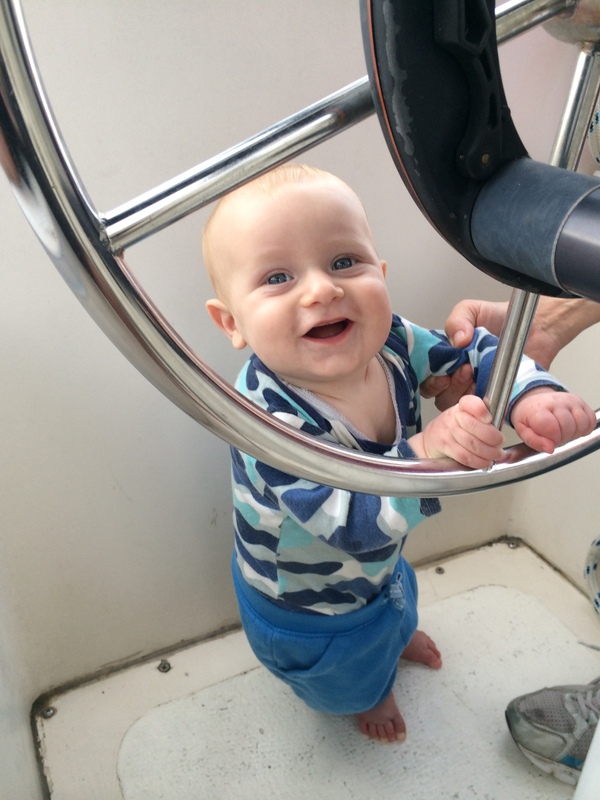 Sophie loves sailing and is becoming a bonafide, contributing crew member at the age of 4. Our blog has been pretty quiet lately as life circumstances have gotten in the way, also making it hard lately to steal the time to go sailing.